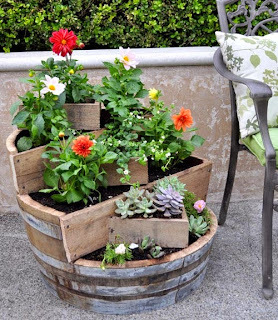 8 Garden DIY Ideas for Spring! Ok guys,we’ve been working like crazy in our backyard getting ready for our sons High School Grad party that will take place there in the back yard. 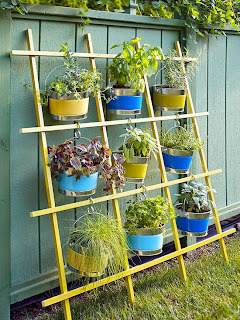 We also started planting the garden as well. Here are some DIY ideas from around the web as these bloggers have some great ideas to get your Spring started, I know they inspired me! 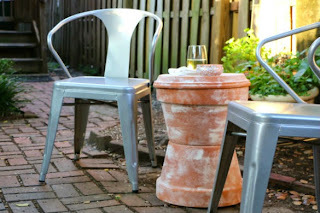 DIY Outdoor Terra Cotta Storage Side Table, from 17 Apart. 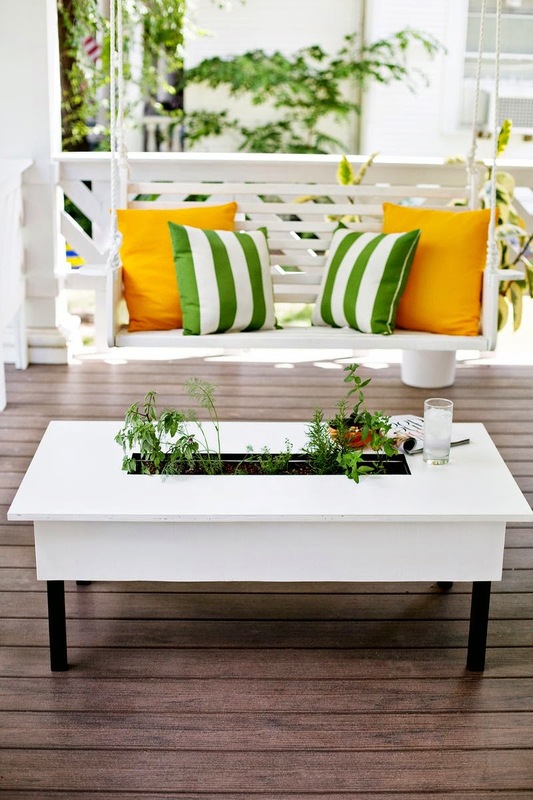 Herb garden coffee table DIY, from A Beautiful Mess. 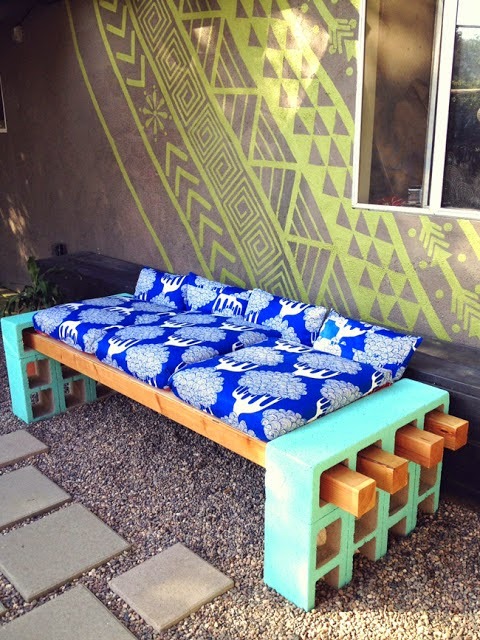 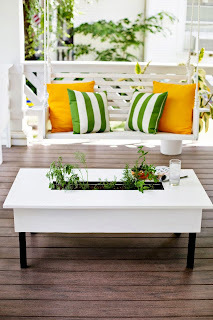 Super simple outdoor DIY seating, from Lena Sekine. Recycled Barrel Planter DIY, on Design Sponge from Centsational Girl. 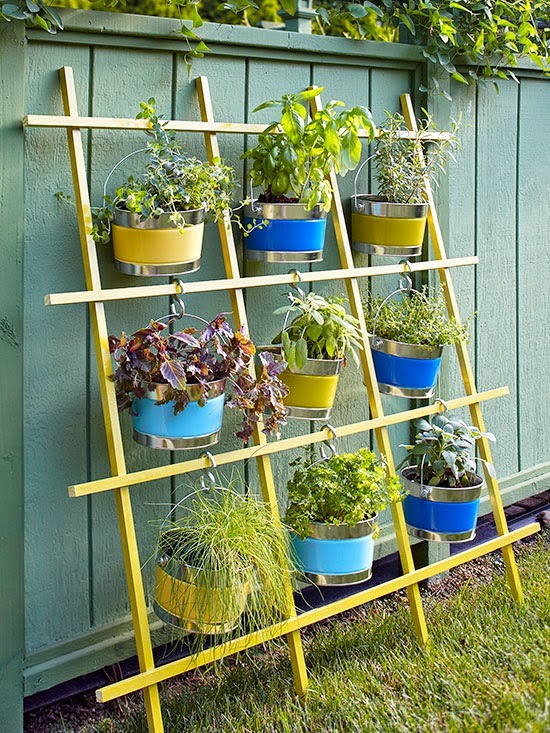 Simple Vertical Trellis Garden, from BHG. 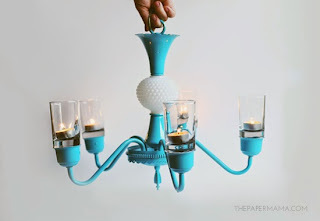 Chandelier Candler Holder Makeover, from The Paper Mama for BHG. 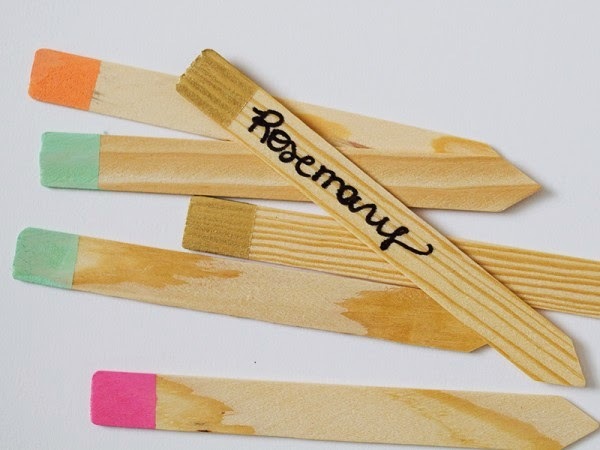 DIY Color Blocked Garden Markers, from Sarah Hearts. 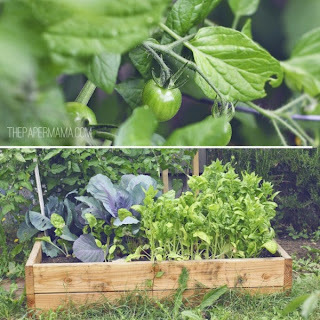 How to build a garden box, from The Paper Mama.